My TARC System Map with changes effective 13 February 2011 now highlights Buses Every 15 Minutes on the 18 and 23, weekdays from 6am to 9pm. I edit this with Inkscape. See http://webonastick.com/maps/my-tarc-map/ for SVG source and whatnot. 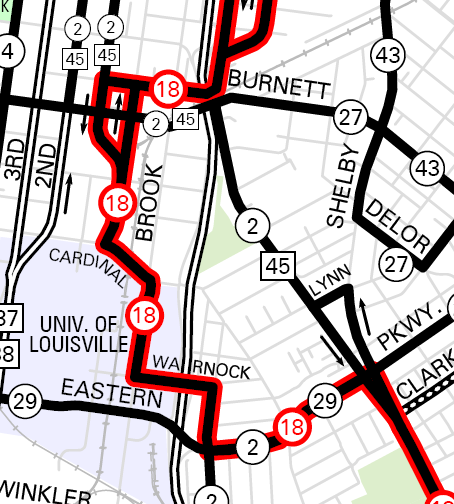 UofL students: see that red line? That means buses every 15 minutes! You should not be thinking this is anything less than awesome. The new timetables are also available.